Age is just a number, so you’re never past your best, unless you choose to believe it. I’m a firm believer that we have huge potential to improve as we go through our lives, improving our physical, mental and spiritual strength. Recently I read about the Okinawans in Japan who are healthier, live longer and happier than most of us. What is the secret? Well recently I discovered an example closer to home. 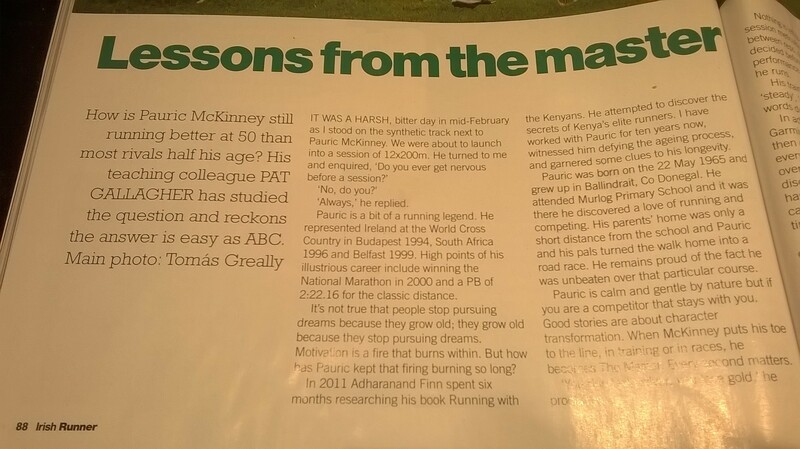 While reading Irish Runner magazine before Christmas, I was inspired by a profile of a famous Donegal runner, Pauric McKinney. 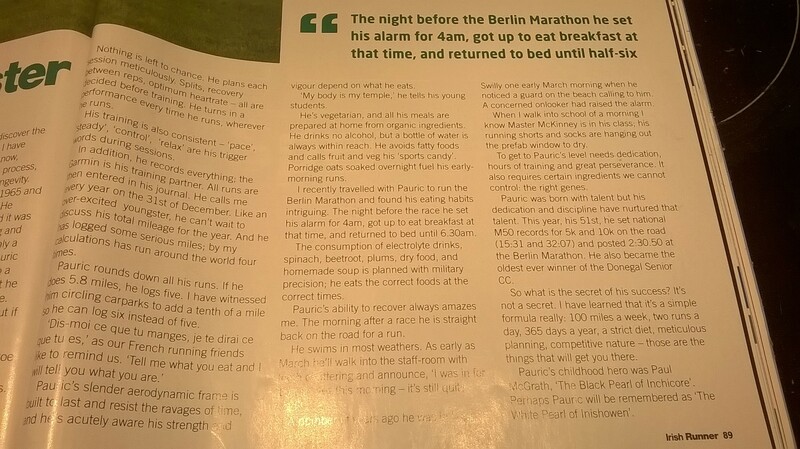 Pauric is legendary – he’s 50 years old but still running times that I can only imagine achieving in my dreams. 15:31 for 5km, 32:07 for 10km and 2:30 in the Berlin Marathon 2015. 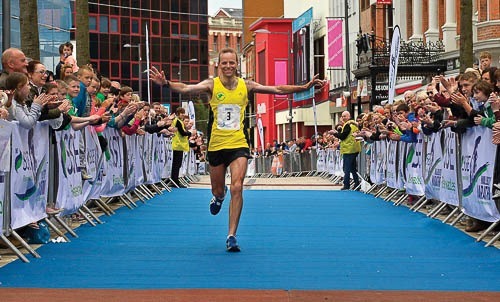 He’s had a long career, representing Ireland at cross country in the 1990s and still representing Masters today. The 2 page interview, with his teaching colleague Pat Gallagher, in the December magazine edition is well worth reading. I’ve summarised into 7 bullets below. No magic secrets, but lots of common sense that we all probably know but don’t consistently abide by. For me, I need to focus more on having focused training sessions, rather than just “junk miles/hours”, so I’m smarter with my time. I should also try the year round swim! You lost me at no beer 😉 Good article.